The first in a series of MindGenius Version 4 webinars has now taken place. With the majority of attendees rating the content as excellent and high attendance we are pleased to announce we will be hosting a monthly series of webinars with the aim to share knowledge on how to make the most out of MindGenius. 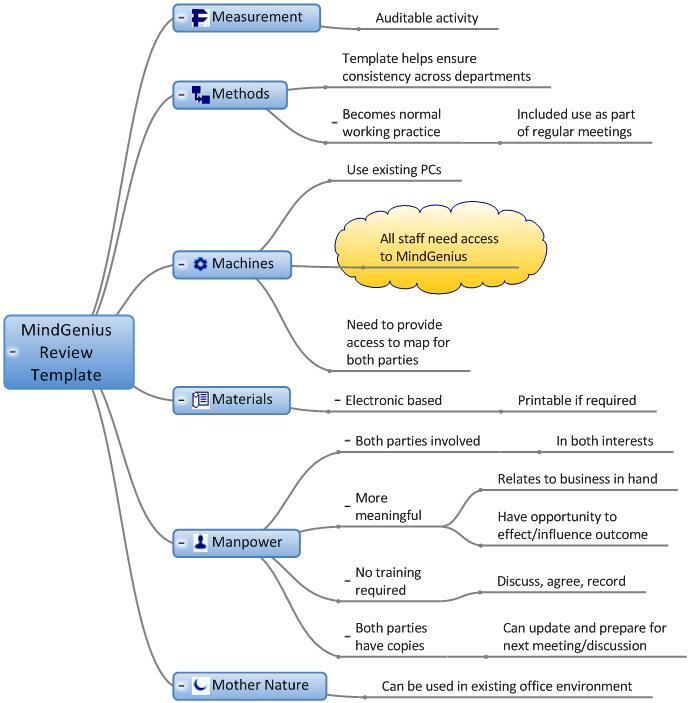 As always we are interested in what our customers would like us to cover so whether you want to know how MindGenius can help you manage your projects or, how it can be used for strategy planning, let us know which topics you are interested in. The next in the series is scheduled for the middle of October and we will announce the specific details well in advance of this so you can schedule time for you and your team to attend. We have recently been catching up with Henry Lewkowicz of Context Discovery Inc., finding out more about their WikiSummarizer application and how the powerful summaries that this web based application creates can now be downloaded as MindGenius files. WikiSummarizer is a web based application designed to find and extract for you, the essential facts and relevant information about a topic from Wikipedia. So if you need to rapidly find relevant Wikipedia articles to aid your research activities, are currently suffering from information overload or generally need to quickly find out more about any topic this application can help you. 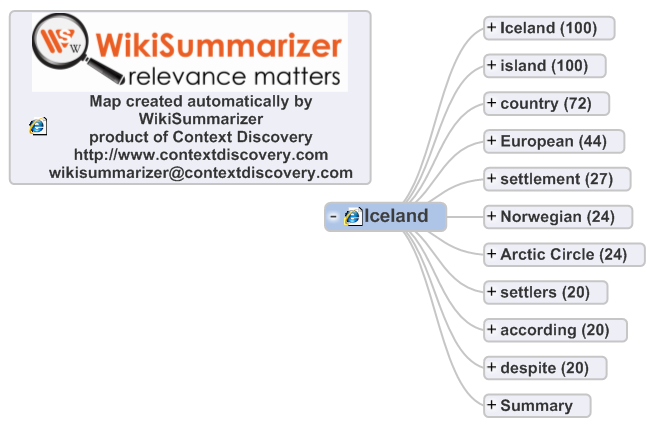 The technology developed by Context Discovery automatically creates and stores summaries of Wikipedia articles in the WikiSummarizer knowledge base. The summaries identify the most important keywords and content in the articles and rank them by relevancy. Users can then search the knowledge base and download the summaries as RTF or MindGenius files. Enter the name of a Wikipedia article in the "Summarize Wikipedia article" tab and time saving summaries of the Wikipedia article will be presented. Enter a keyword in the “Search Wikipedia” tab and the most significant Wikipedia articles related to the keyword will be presented. Enter a keyword in the "Get Summaries" tab, and complete summaries of the most relevant articles related to the keyword will be presented. Enter a URL in the “WebSummarizer” tab, and a summary of the Webpage article will be presented. Remember, the results of these different searches can be downloaded into a MindGenius map providing a quick start to your research and projects and an opportunity to progress much quicker than would normally be possible. WikiSummarizer.com is currently a test site that Context Discovery have made available for people to explore the value and uses of the summarization technology. The entire content of Wikipedia has been summarized and stored on the website to demonstrate the use of summaries to create powerful knowledge bases. Henry further explained that the summarization technology could be adapted to any website, SharePoint, corporate document repository or content management system to create corporate knowledge libraries. We have a number of ideas about how this could be integrated with MindGenius and we are very interested to hear about your experience of using WikiSummarizer and your thoughts on how this could help you. Please let us know. Henry commented that WikiSummarizer.com is an applied research site that currently relies upon sponsorship to allow them to keep learning from users and adding new features in response. Please visit and support http://www.wikisummarizer.com/. The task now is to implement a solution, or solutions, to solve the problem. I adopt the following process to implement solutions to rectify problems. So how would I go about fixing the problem having identified the root causes? I would walk through the category – centric maps I generated, review the symptoms associated with the root causes and then brainstorm some potential solutions. 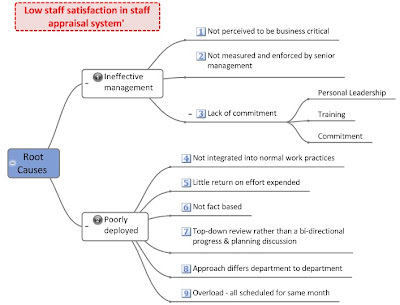 In the ‘Poor Deployment’ section, a key root cause is that the staff appraisal system is not integrated into normal work activities. It appears to be a one-off, independent activity. 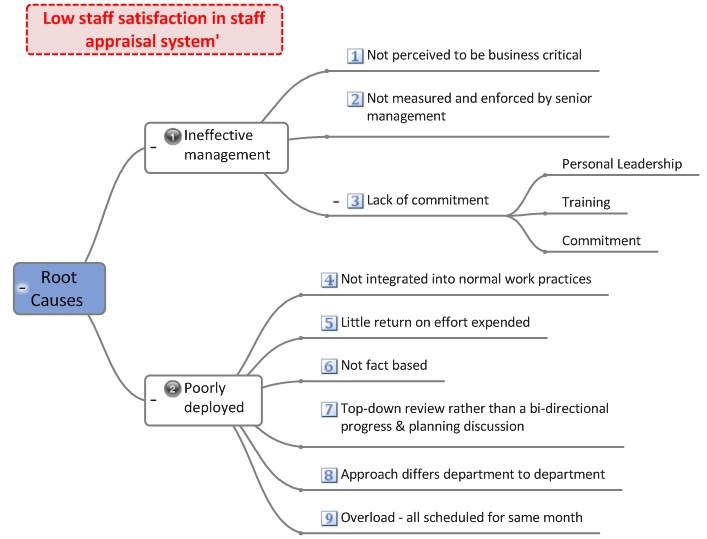 How could the staff appraisal system be better integrated? Managers and staff meet and interact on a regular basis over the review period. 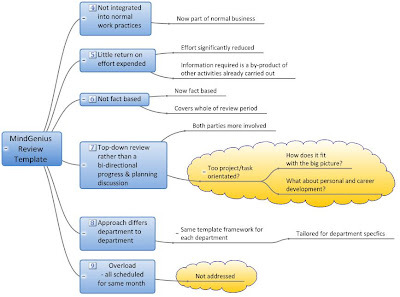 Such interactions should surely provide a meaningful input to the staff appraisal discussion. 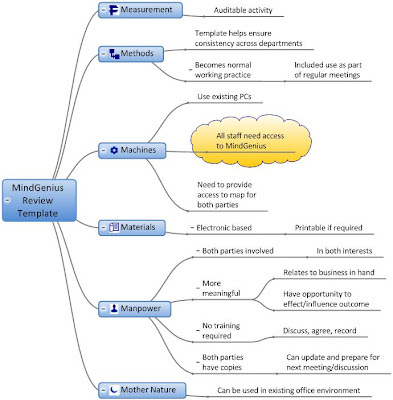 So one solution that comes to mind would be to provide all managers and supervisors with a MindGenius template to use as a framework for their interactions and discussions. But would such a solution work? A solution, once implemented, should have an effect. We normally have an appreciation of the positive effects that it will have – that’s why we deployed it. But will it have any adverse side effects? Have we thought the implementation through and have we included any preventative activities in the implementation plan to mitigate any potential side effects? You have to be careful you don’t fall into motherhood mode and become blinkered – it’s my solution therefore it will work. You need to consider the pros and cons dispassionately. I explore the potential effects using a Solution and Effect approach. This is simply a reversal of the Cause and Effect approach I discussed last month and in this case I use the MindGenius Output Tree format. The 6M level 1 branches prompt me to consider effects that the solution might have (good or bad) if considered from these different perspectives. This helps me take a well rounded view of the solution as well as helping me to avoid the motherhood trap. I can gain an appreciation of any adverse side effects before I implement the solution and take steps to eliminate or mitigate them. As I identify potential effects, I record these in the Solution and Effect Map. I highlight the negative effects so I can address them. Is the ‘All staff need access to MindGenius’ side effect a show stopper? A quick review suggests no and indicates that there are steps that could readily be taken to eliminate this potential adverse side effect. The maps that you are developing also give you valuable information to support your case for the deployment of the proposed solution. 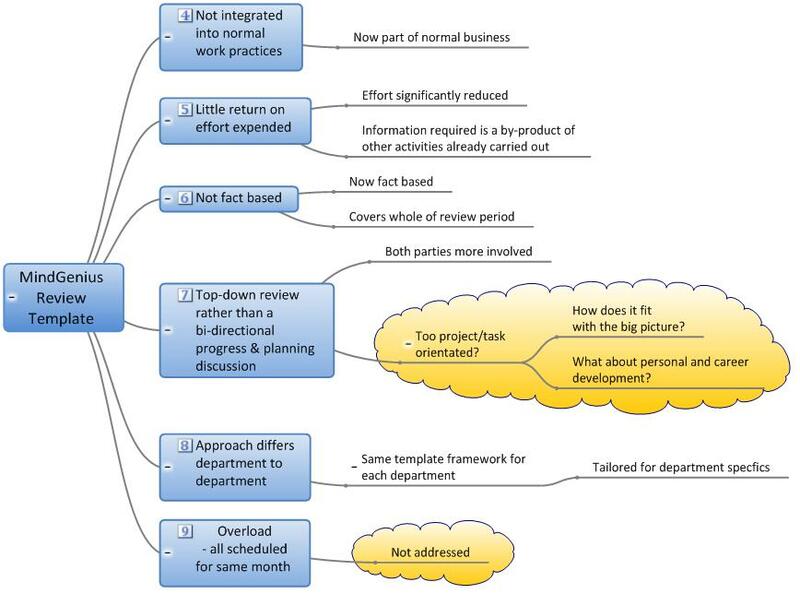 The solution is intended to address a key root cause ‘Poor Deployment’ but how effectively does it do that? One way is to take the solution and assess its impact on the root causes previously identified. This helps identify potential problem areas that still need to be addressed. Again I would revisit THE maps to verify that this did in fact address the intended root causes and that there were no significant side effects. 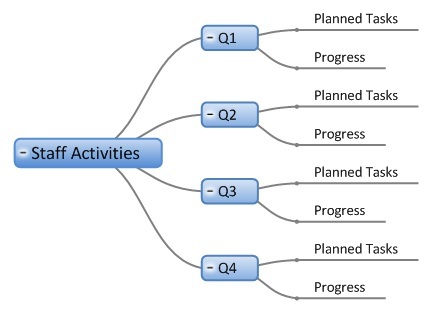 In order to understand the timeframes, activities, resources and costs involved you need to develop an implementation plan. Now you are in a position to implement, or gain approval to implement, your solution. The implementation plan would be used as the roadmap to ensure that the solution was implanted as plan. I’ve added Communication. Why? Because it is important that you maintain effective communication routes to all affected and interested parties throughout the process. In understanding and identifying the root causes you need to involve the people experiencing the problem so you take a well rounded approach. In implementing the solution you need to continually inform the people affected of what you are about to do and why you are doing it so they will support the implementation. 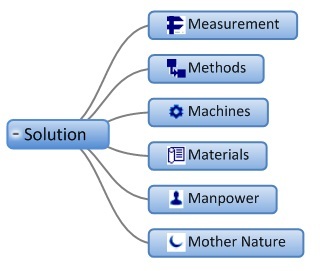 The amount of effort and activities involved in these separate steps will be dependent on the nature of the problem and its proposed solution. Problem Solving can be a complex or simple task. It depends on the nature and scope of the problem being addressed. There are a number of problem solving methodologies that you could use but I don’t believe that one size fits all. You have to be flexible and creative. You have to have a toolkit of problem solving techniques and be able to apply the correct tool for the job. 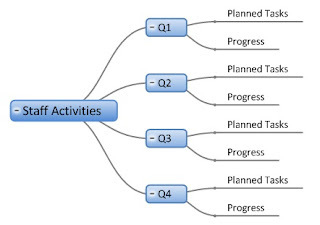 This can often involve using a number of techniques in the one problem solving activity. For example. Which of the solutions identified should I use? (Pros and Cons analysis). Have I missed anything? (De Bono 6 hats). It’s down to you and what works for you in a given situation. At least you have MindGenius to help you carry out these tasks.